An investment is an economic outlay required to maintain or increase a company’s capital. Sometimes, this is accompanied by a large dose of risk. 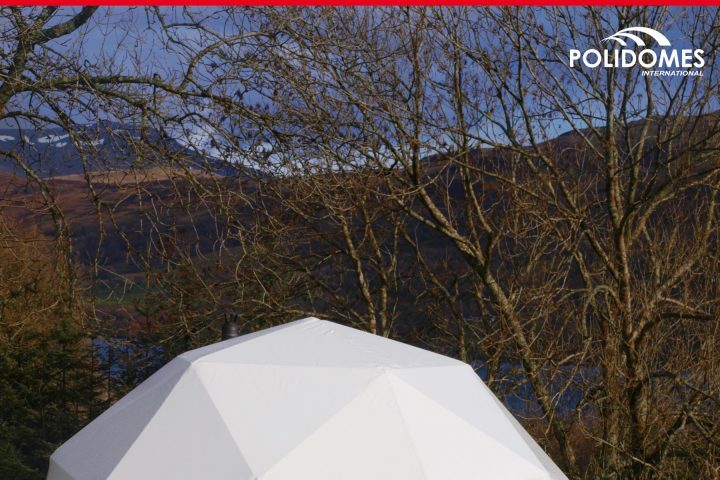 There is no risk in investing in geodesic dome kit from such a reputable company as Polidomes International – with us, quality is guaranteed. 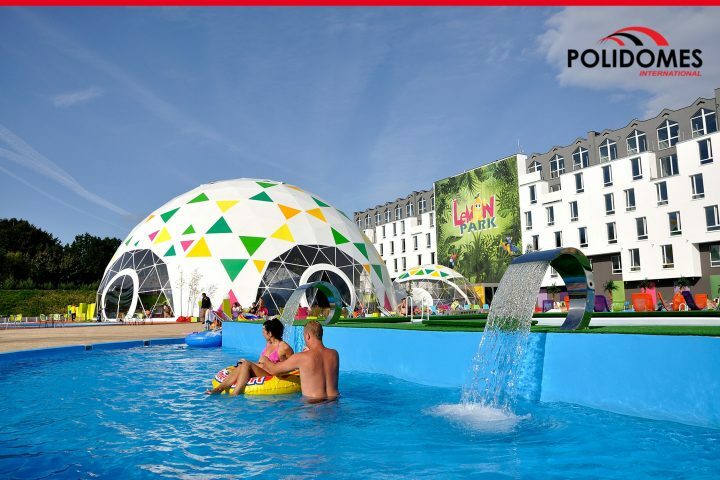 Polidomes geodesic dome tents offer an interesting dash of diversity for outdated resorts which have long since lost their former glory. Polidomes geodesic domes will restore that glory with a futuristic appearance, a large space for marketing exploitation, and practically endless functionality.The splendor of owning a dome tent is a great foundation for resort brand repositioning. Of that we’ve already convinced our European and non-European partners, whose courage in investment brought tangible benefits to many facets of their businesses. 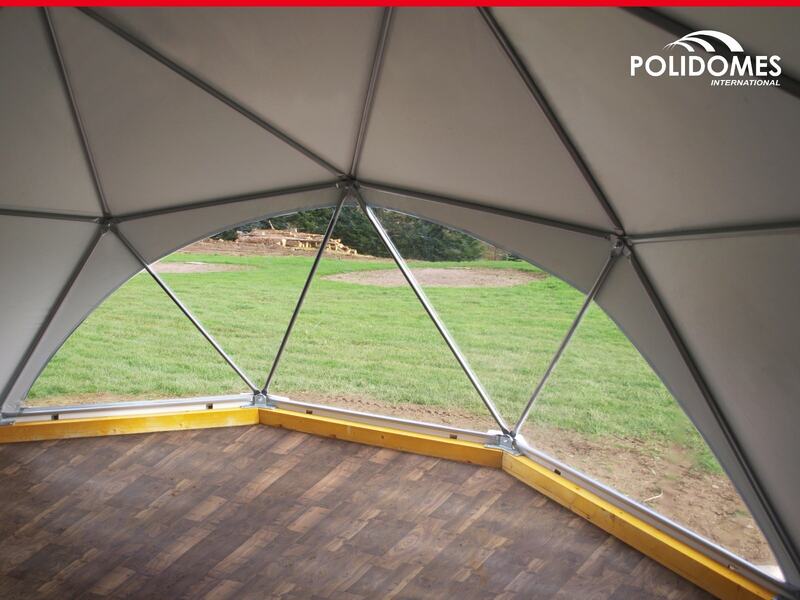 Having a geodesic dome offers an indescribable advantage, which are mobility and functionality! 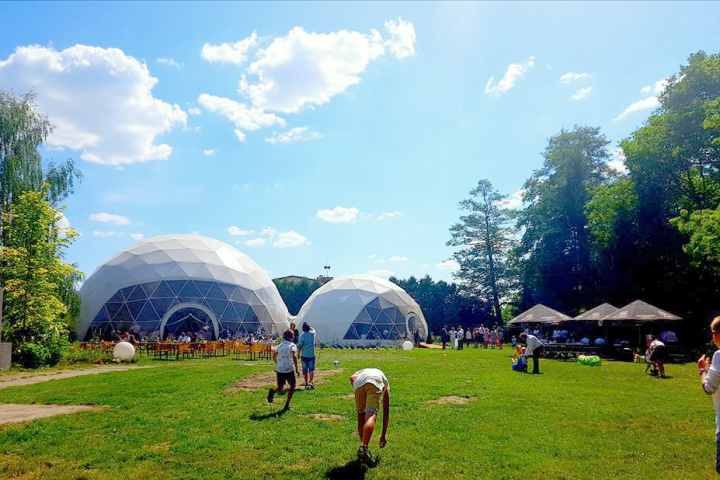 Each and every geodesic dome we offer is an ultramodern construction that draws the eye and piques the curiosity of every passerby. The spherical structure provides a sense of space and freedom. The merit of such an investment is not to be underestimated. 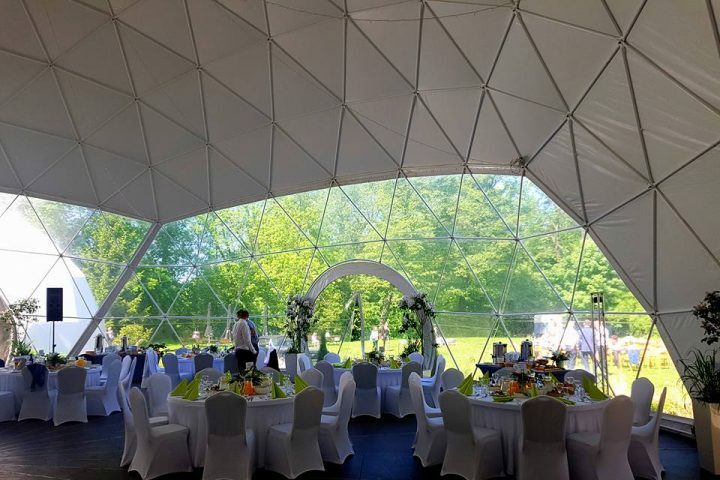 From the functionality and practicality of a geodesic tent to the great marketing value – having (either owning or leasing) your own geodesic structure makes any resort stand out against the colorless background of the competition. 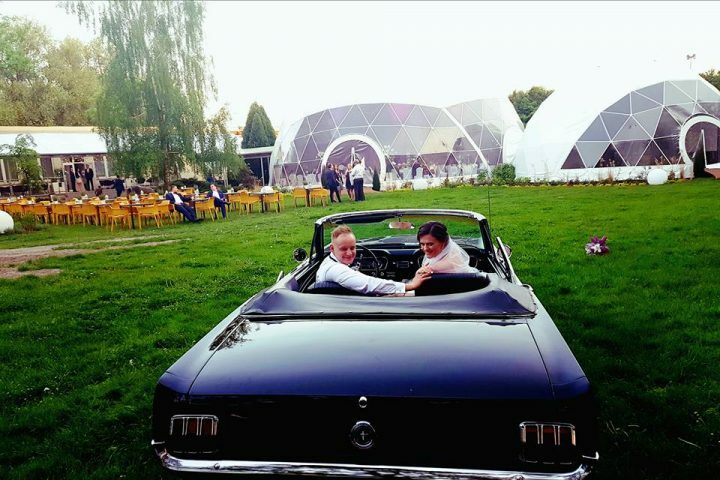 In June 2017 the resort ‘4 Elements of Falenty’ invested in large outdoor event tent. The marquee is a perfect venue for weddings, conferences, parties, exhibitions and corporate events. With the modern look and exceptional versality the resort gained new niches of visitors. According to the owner, until the next summer season the event tent paid for itself twice! Now they purchased the second event tent, a bit smaller, to accompony the large dome tent. 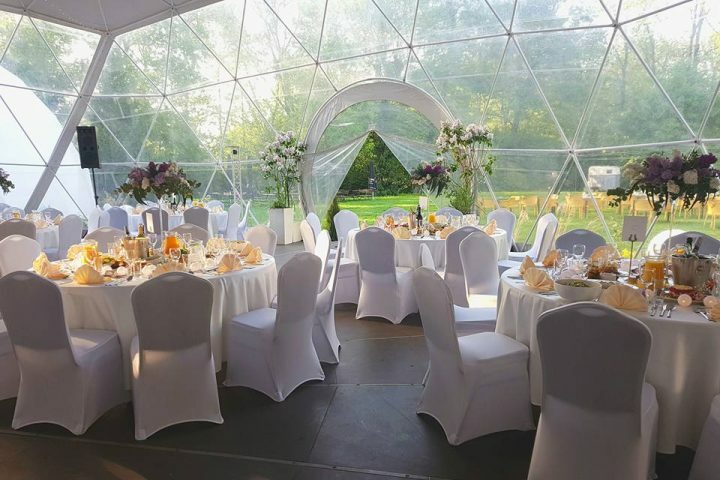 Huge weddings taking place under a white geodesic dome in a Polidome 150 or Polidome 300 will be an unforgettable experience for every participant. Large event tents provide the perfect acoustics, and equipped with a wooden floor to serve as a dance floor, they’ll satisfy even the most demanding bride. 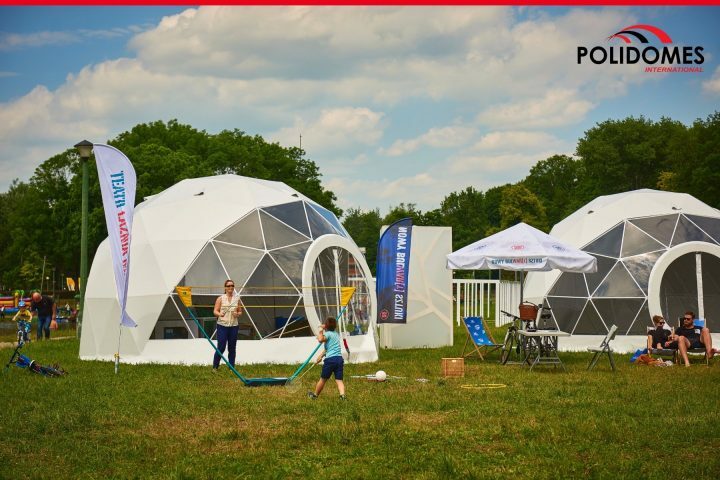 Polidomes geodesic dome kit offer quick assembly and disassembly – it’s easy to move the whole structure to any desired location in a short space of time: parking in front of the hotel, another beach area, a nearby green space, and so on. The spatial construction of the geodesic structure will beautify any area, raising is functionality and tourism value. Moreover, event domes can be connected to one another using a special tunnel, forming a futuristic town, straight from the pages of popular science fiction novels. Such a structure guarantees good advertising without any kind of additional promotion – having your own city of spheres is a promotion in itself. In the end of 2018, the resort named ‘Ranczo Panderossa’ invested in glamping pod with diametr 8m and 50m2 floor space. Glamping pod placed on the wooden deck perfectly fitted into the incredible wild nature landscape surrounding the resort. On the start of the summer they set the Fb promotion showing their new acquisition and offering to book the stay in a glamping tent. As a result after 8 days of campaign they had scheduled all the summer season. The Fb post reached more than 60.000 people all over the Poland. 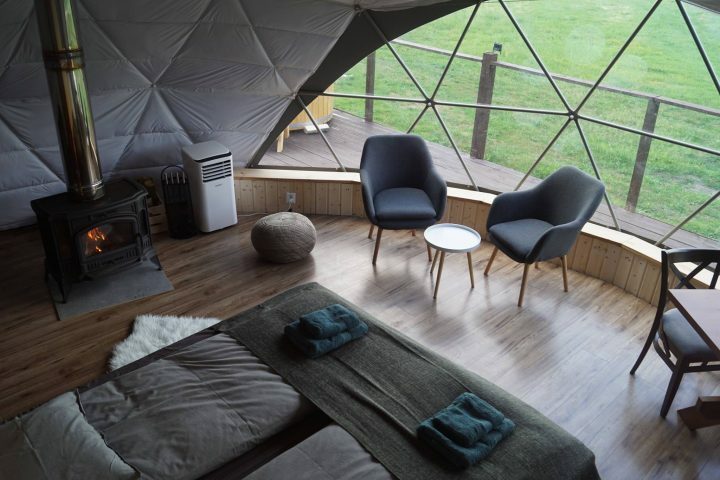 It is worth noting that geodesic dome as well as glamping tent manufactured by Polidomes can be successfully operated all year round – they fear neither frost nor the heat of the sun. Every model can be equipped with a powerful air conditioner, so guests can enjoy a stable temperature regardless of the weather outside the tent. 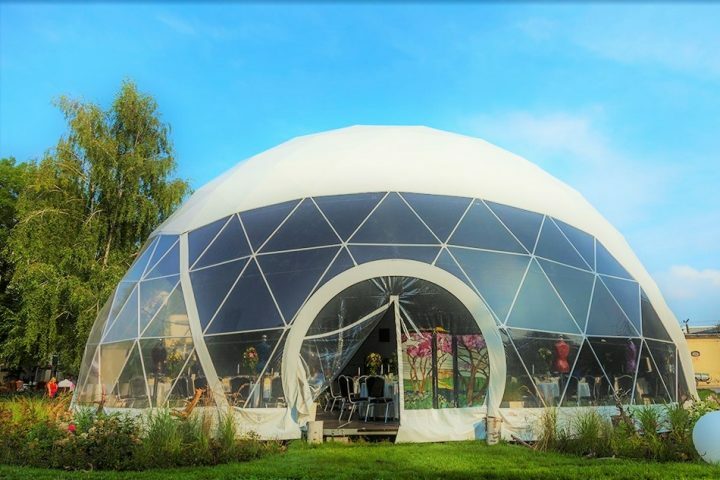 Geodesic dome tents will diversify and enrich any outdoor event organized by the hotel. 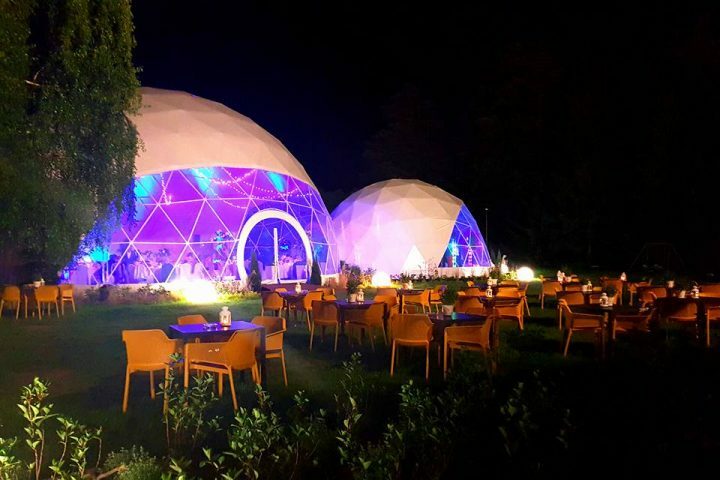 In this particular case, the ‘boring’ hotel itself will serve only as a backup facility, while the whole event will revolve around the futuristic spherical tent. Glamping tent or the geodesic event tent can utterly transforme any outdated tourist spot from a non-performing asset with negative cash flow to one of premier resort properties. 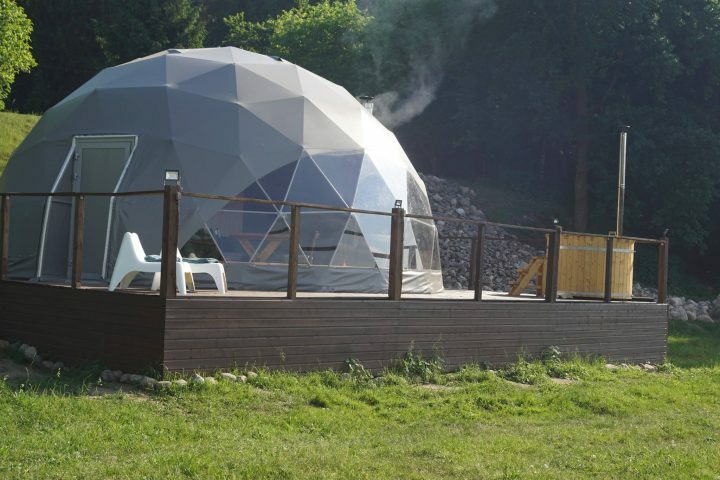 Investing in the exclusive possession of a geodesic dome is an ideal solution for any hotel and tourist resort. 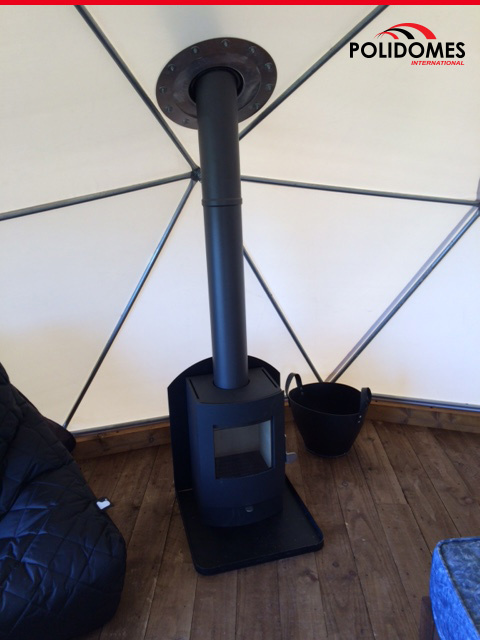 The universality of the sphere tent cannot be overestimated – it is limited only by imagination. An outdoor cafe or bar, a stage or exhibition area, a tourist information desk, a wedding arena, an outdoor tent and much, much more! 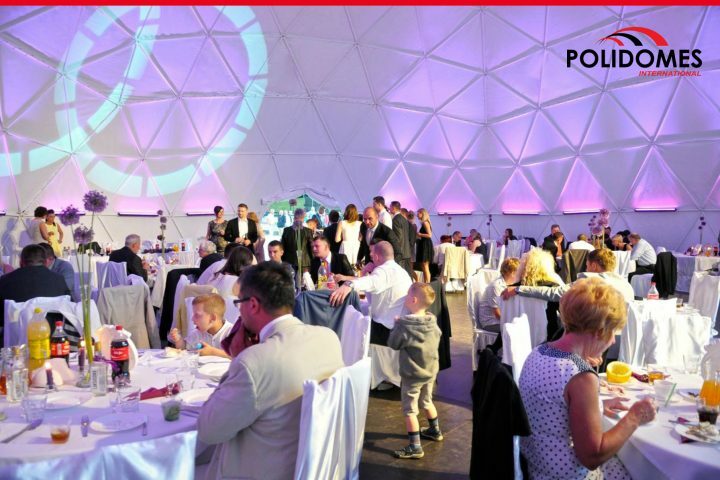 The Polidomes geodesic structures – from the world leader in the spherical tent market – offers all these options, and much more.